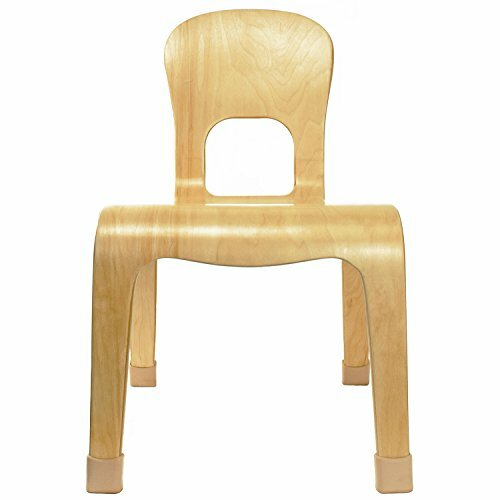 Stackable wooden chair with rounded edges for safety and a weight capacity of 200 lbs. Premier materials with solid hardwood construction. Durable, non-toxic, low VOC finish.